We have gathered on a most auspicious day, the appearance day of Srivasa Thakura, one of the members of the Pancha-tattva. He lived in Navadvipa-dhama in Mayapur, near the residence of Jagannatha Misra and Sacidevi, where Sri Chaitanya Mahaprabhu appeared. 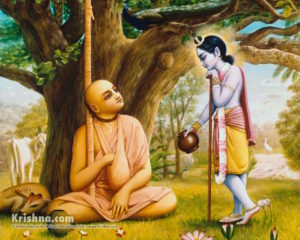 Later, when Lord Chaitanya began the sankirtana movement in Navadvipa-dhama, He and His most confidential associates would meet at Srivasa-angana, the home of Srivasa Thakura, and have kirtan throughout the night. The kirtans at Srivasa-angana were most ecstatic, and only the most intimate devotees of Sri Chaitanya Mahaprabhu were allowed to enter. In fact, the nocturnal kirtans at Srivasa-angana in gaura-lila are compared to the rasa dance in krsna-lila. In his identity in krsna-lila, Srivasa Pandita is Narada Muni, the great preacher who travels throughout the universe chanting the holy names of Krishna and enlightening the fallen souls in Krishna consciousness. 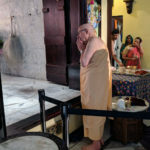 So it is most auspicious that His Holiness Sridhar Swami Maharaja has left on Srivasa Thakura’s appearance day—this most auspicious day—in Sri Mayapur-dhama—that most auspicious place. 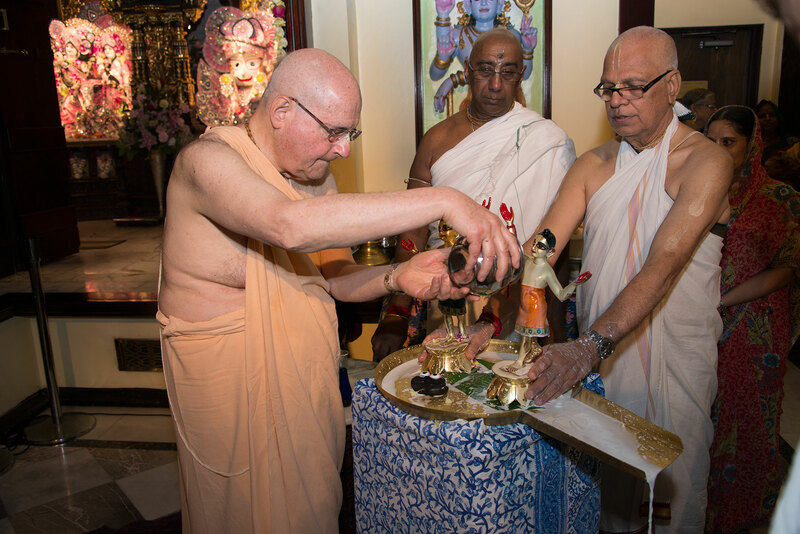 We now have a special opportunity and responsibility to honor and glorify His Holiness Sridhar Swami Maharaja. 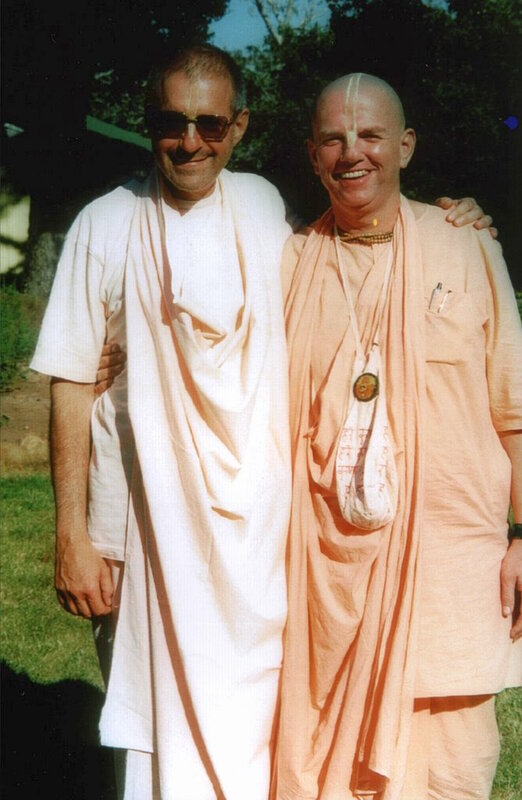 My own association with Sridhar Swami goes back to Bombay, over thirty years ago. 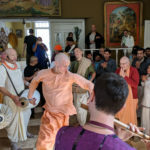 Srila Prabhupada had requested disciples from America to come to India to help him there, and in particular with his three main projects—Bombay, Mayapur, and Vrindavan. From 1972, Maharaja served Srila Prabhupada in India, mainly in Bombay. Maharaja had never really preached much in India before then, and we didn’t know how well he could preach to the aristocratic Indian gentlemen we were mainly approaching at that time. But he was so sincere in his desire to preach that he became one of the best preachers in India, and one of the best preachers in the world. 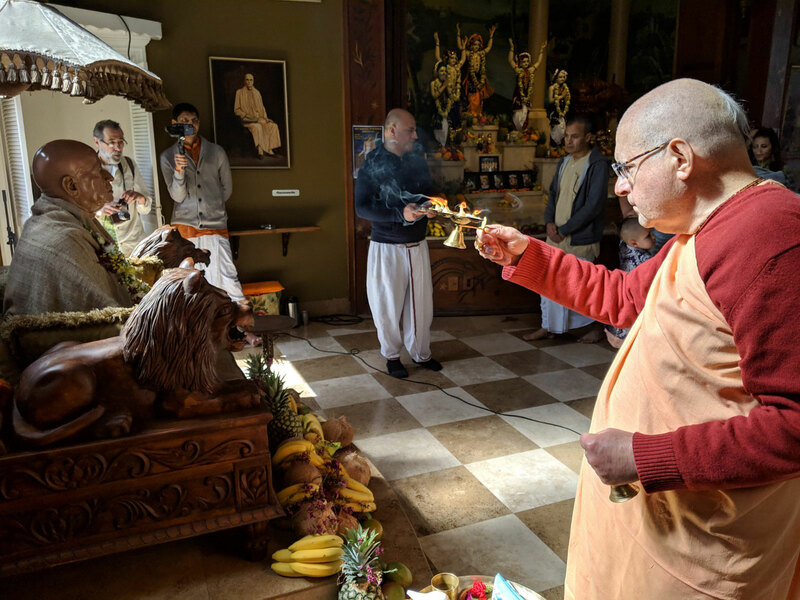 This story illustrates Maharaja’s sincere desire to preach, and his strong determination to serve Srila Prabhupada and the mission—even in ways that may not have been easy for him. In India, Srila Prabhupada had introduced the life-membership program. And he based the society’s progress there on the program. He said that making someone a life member was almost as good as making him into a devotee. 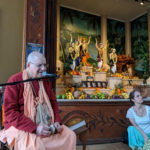 He also said that he had introduced the life-membership program as a way to distribute his books, because if someone became a life member by paying a certain subscription, he would get a set of Prabhupada’s books and a subscription to Back to Godhead magazine. Eventually, Sridhar Swami led one of the life-membership teams in Bombay. 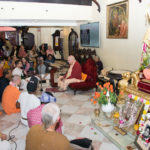 I was the membership director, and the other leaders of teams were Lokanath Swami, Jagat-purusa Prabhu, and Haridasa Prabhu (who since then has become a producer of Krishna conscious television programs). Those were our main teams. In the early 1980s, Sridhar Maharaja became the Juhu temple president, and so he increasingly joined me in cultivating the most important people in Bombay. And between 1984 and 1990, when I was unable to return to India because of visa problems, he deepened his relationship with many of our most important members, and they really came to love him deeply. Later, in about 1991, Maharaja began Bhaktivedanta Information Services and Mailing (BHISMA), a fund-raising-by-mail program in Juhu. Many devotees criticized the program, saying it would never work. To prepare the letters and post them would cost more than two lakhs rupees (Rs. 2,00,000/-), and where was the guarantee that we would ever get the money back? Yet in spite of all the negativity, Maharaja took the risk. 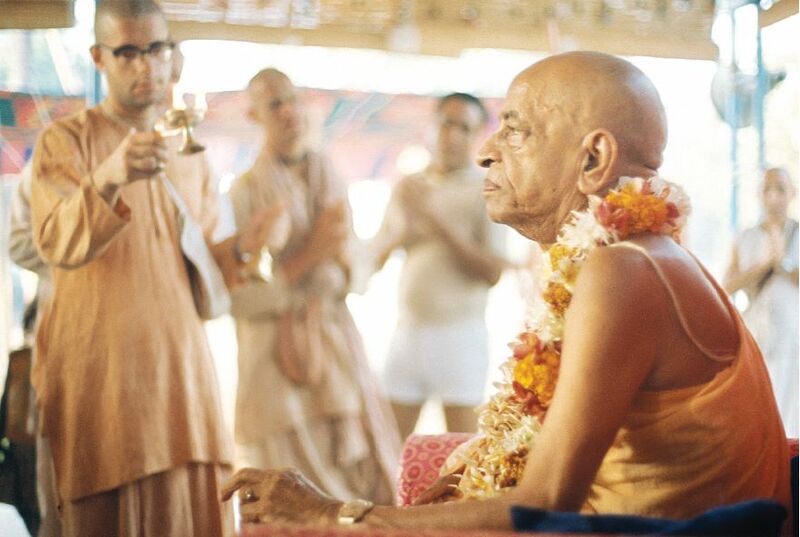 (Srila Prabhupada had said, “To preach means to take risks.”) And the experiment proved to be successful. The first effort itself made money, and subsequent mailings proved even more profitable. Soon, Maharaja received invitations from centers in India and abroad to help them organize fund-raising-by-mail campaigns, and the campaigns proved to be successful everywhere. They became one of the most reliable sources of income many temples had. Even today, the BHISMA office started by Maharaja raises funds for the Juhu temple by mail. More recently, Maharaja started the Vedic Academy for Spiritual Technology (VAST). 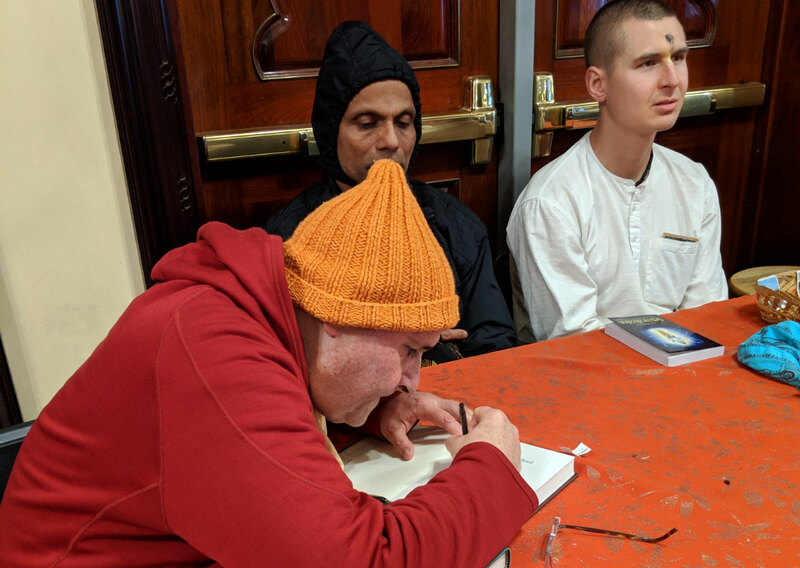 This pioneering program uses the latest multi-media methods to teach the corporate sector stress management and time management—all in relation to Krishna consciousness. Maharaja always tried to find innovative ways to present Krishna consciousness. 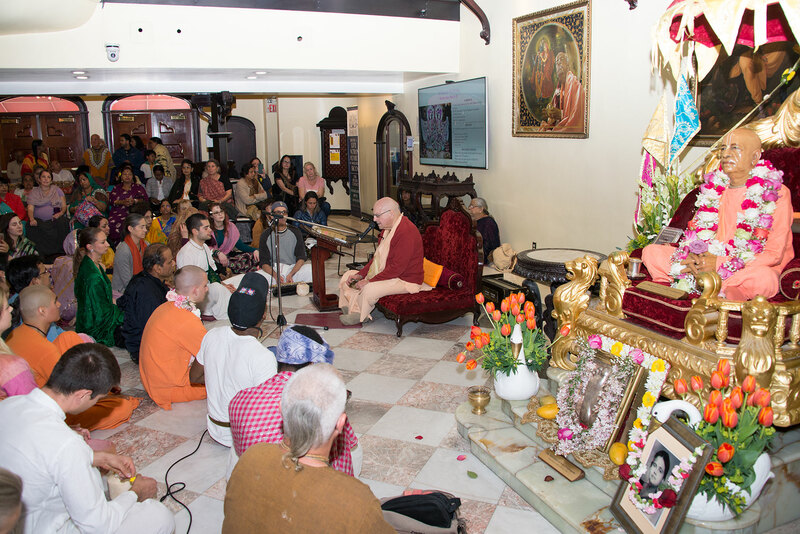 He studied experts in various fields and applied what he learned to Krishna consciousness. Many of my most vivid memories of Maharaja, and of his good influence on me and on others, are from the last few years. 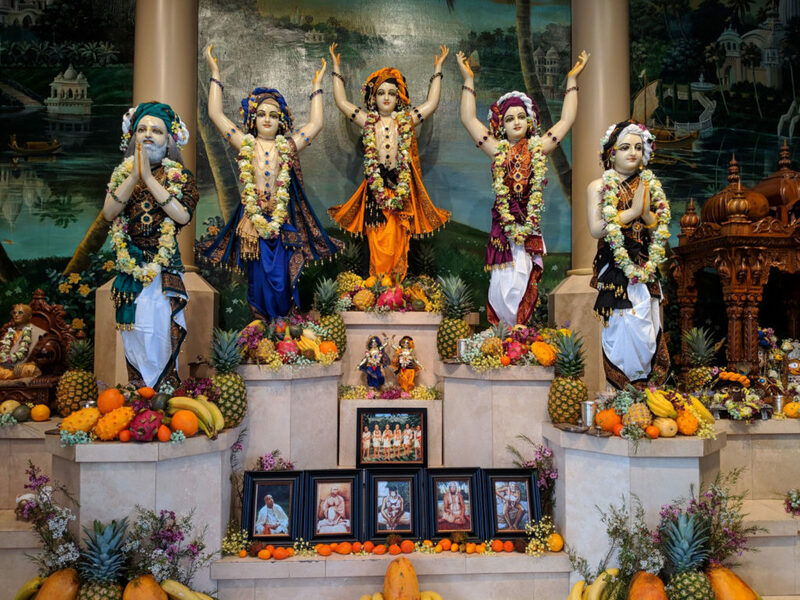 You may know that in 1977, some months before he left this world, Srila Prabhupada named eleven disciples to initiate devotees on his behalf while he was still here. Then, after he left, the same disciples continued to initiate. Later, slowly, a few more were given that responsibility, beginning with three others. Sridhar Maharaja was not one of the first to initiate, or even one of the early ones to be added later. The attitude of the movement then was quite restrictive. So, at one stage, he joked that he wanted only three disciples—one to cook, one to do his laundry, and one to collect for him. Eventually, Maharaja was given the responsibility to initiate disciples, and he took his duty very seriously and was very sincere. 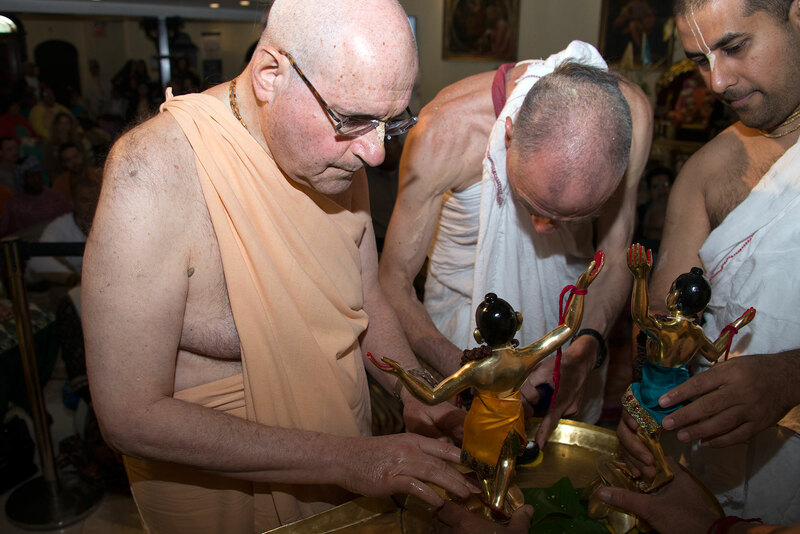 He initiated one of his earliest disciples, a devotee from Croatia, in his first initiation ceremony at Juhu. Maharaja named him “Mayapur dasa” and instructed him to be a servant of Mayapur. Even up to the end, Maharaja was very sincere in his duties to his disciples and in his care and affection for them. He really cared for them, and he loved them very much. 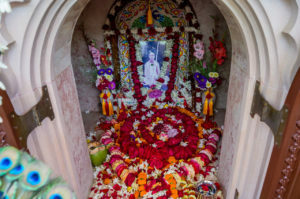 At the same time, he cared for devotees and people in general, and I think this is one of his most remarkable traits: his almost universal care for others. He really was like an ocean of love. Today we are celebrating the appearance of Sri Chaitanya Mahaprabhu, the Supreme Personality of Godhead Krishna, who descended in the age of Kali in the role of a devotee. He appeared on what we now call Gaura-purnima, in the evening of the full moon day in the month of Phalguna. At the time, there was a lunar eclipse, and as was the tradition, as recommended in scripture, Hindus immersed themselves in the Ganges and chanted the holy names. 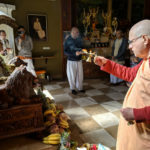 Eclipses are considered inauspicious, and to counteract the inauspiciousness, strict followers of the Vedic scriptures stand in a sacred body of water—a river, a kunda or lake, or the sea—and chant the Hare Krishna maha-mantra. 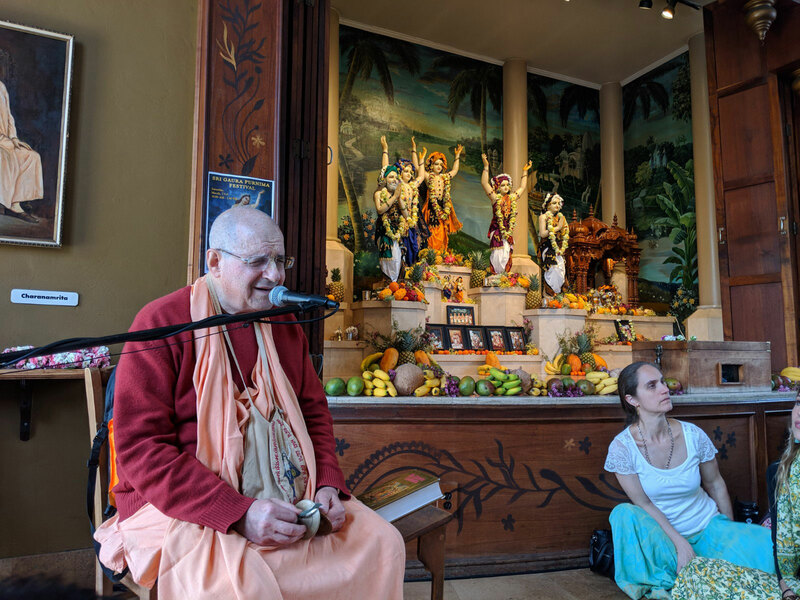 So, from the very beginning Lord Chaitanya was surrounded by the chanting of Hare Krishna, and He induced people to chant Hare Krishna more and more. The following summary of the Eighth Chapter is given by Srila Bhaktivinoda Thakura in his Amrta-pravaha-bhasya. 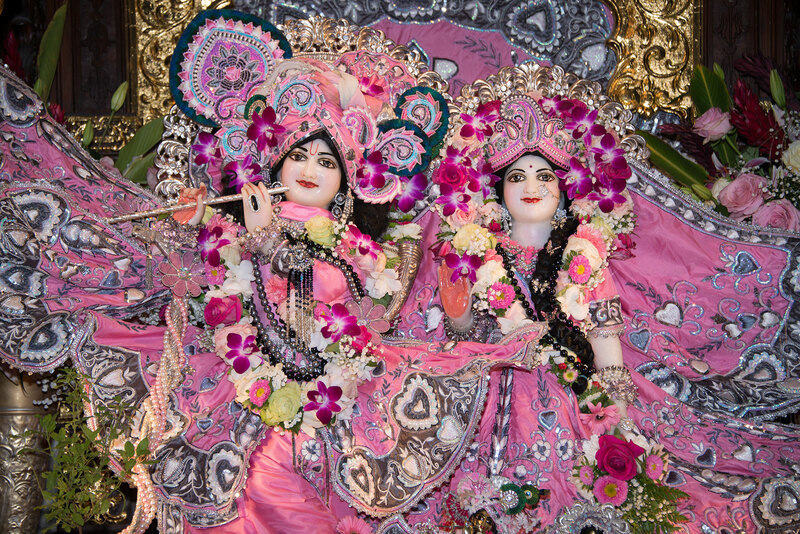 This chapter describes the history of the Lord’s dealings with Ramacandra Puri. Although Ramacandra Puri was one of the disciples of Madhavendra Puri, he was influenced by dry Mayavadis, and therefore he criticized Madhavendra Puri. Therefore Madhavendra Puri accused him of being an offender and rejected him. 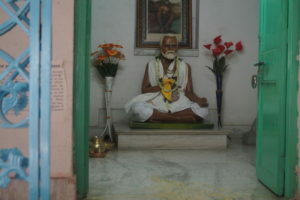 Because Ramacandra Puri had been rejected by his spiritual master, he became concerned only with finding faults in others and advising them according to dry Mayavada philosophy. For this reason he was not very respectful to the Vaisnavas, and later he became so fallen that he began criticizing Sri Caitanya Mahaprabhu for His eating. 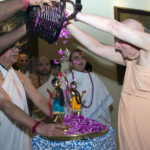 Hearing his criticisms, Sri Caitanya Mahaprabhu reduced His eating, but after Ramacandra Puri left Jagannatha Puri, the Lord resumed His usual behavior. Let me offer my respectful obeisances to Sri Caitanya Mahaprabhu, who reduced His eating due to fear of the criticism of Ramacandra Puri. All glories to Sri Caitanya Mahaprabhu, the incarnation of the ocean of mercy! His lotus feet are worshiped by demigods like Lord Brahma and Lord Siva. All glories to Nityananda Prabhu, the greatest of mendicants, who bound the entire world with a knot of ecstatic love for God! All glories to Advaita Prabhu, the incarnation of the Supreme Personality of Godhead! He induced Krsna to descend and thus delivered the entire world. All glories to all the devotees, headed by Srivasa Thakura! 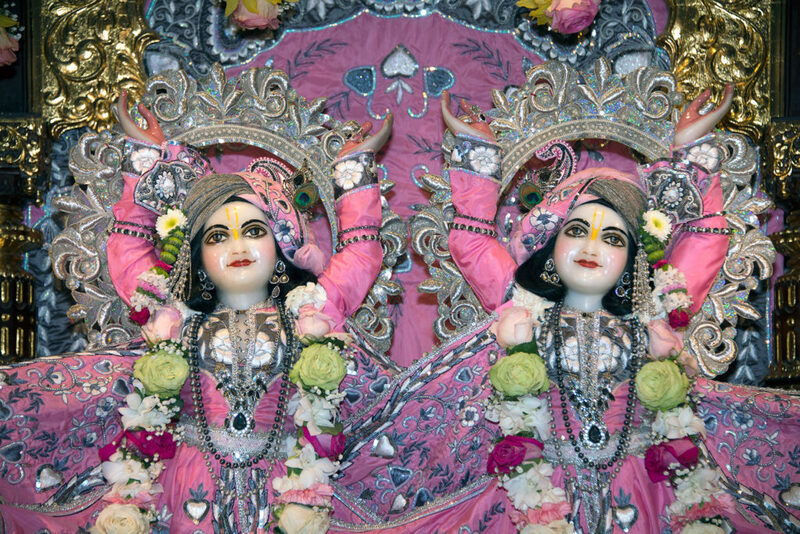 Sri Krsna Caitanya Mahaprabhu is their life and soul. Thus Sri Caitanya Mahaprabhu, at Jagannatha Puri, performed His various pastimes with His own devotees in the waves of love for Krsna. 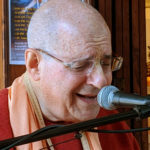 Although I have not experienced that level of chanting, it is a stage to which I can aspire. Today is Srila Jagannatha dasa Babaji Maharaja’s disappearance day. He comes in the Gaudiya Vaishnava disciplic succession after Srila Visvanatha Cakravarti Thakura and Srila Baladeva Vidyabhusana. He was a renounced ascetic, fully engaged in chanting the holy names of Krishna and meditating on His pastimes. For some time, he made his residence at Surya-kunda in Vraja-dhama, near the temple of Suryadeva, where Srimati Radharani used to come and worship the sun-god—or, I should say, where She used to come to meet Krishna on the pretext of coming to worship the sun-god. Srila Bhaktivinoda Thakura, who comes in the disciplic succession after Jagannatha dasa Babaji, accepted Srila Jagannatha dasa Babaji Maharaja as his main guru, his siksa-guru. 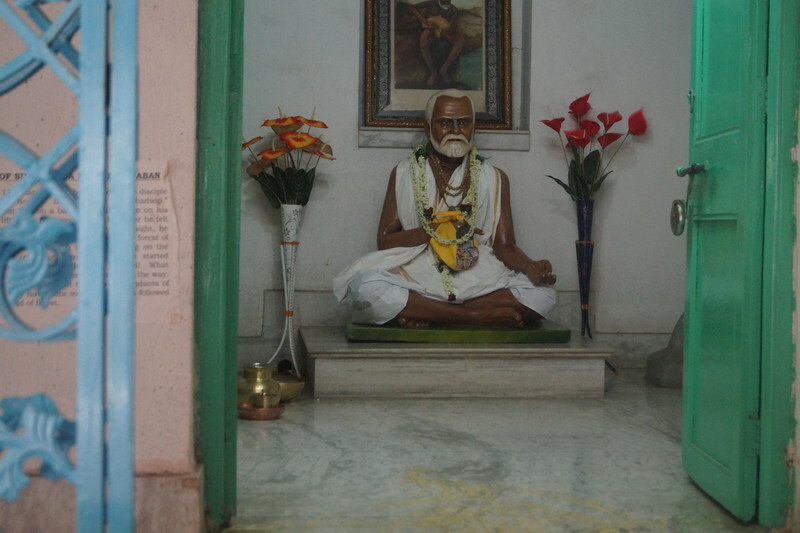 Once, some of Jagannatha dasa Babaji’s disciples in Vraja approached Bhaktivinoda Thakura and complained that although they had come to Vraja to live like Jagannatha dasa Babaji Maharaja, fully absorbed in chanting the holy names and meditating on Sri Sri Radha-Krishna’s astakaliya-lila, Babaji Maharaja had refused to instruct them in such esoteric topics and had instead engaged them in cultivating tulasi plants, flowers, and vegetables to offer to the Lord. They requested the Thakura to appeal to their guru maharaja to instruct them in the esoteric practices of Krishna consciousness. 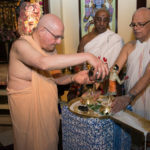 Eventually, Jagannatha dasa Babaji Maharaja moved to Mayapur, where he lived by the banks of the Ganges, fully absorbed in chanting the holy names. He had the greatest reverence for the holy land of Navadvipa. 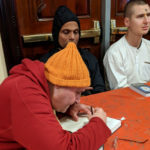 Although he was so renounced and so absorbed in Krishna consciousness, as his reputation spread, gentlemen would come to him and give him donations. Once, Babaji Maharaja asked one of his servants to take the donations he had received, which he kept in an old burlap bag, and purchase a large pot of rasagullas. All the devotees were surprised, because Jagannatha dasa Babaji was so renounced and lived so simply; he would eat just the simplest rice and dal. 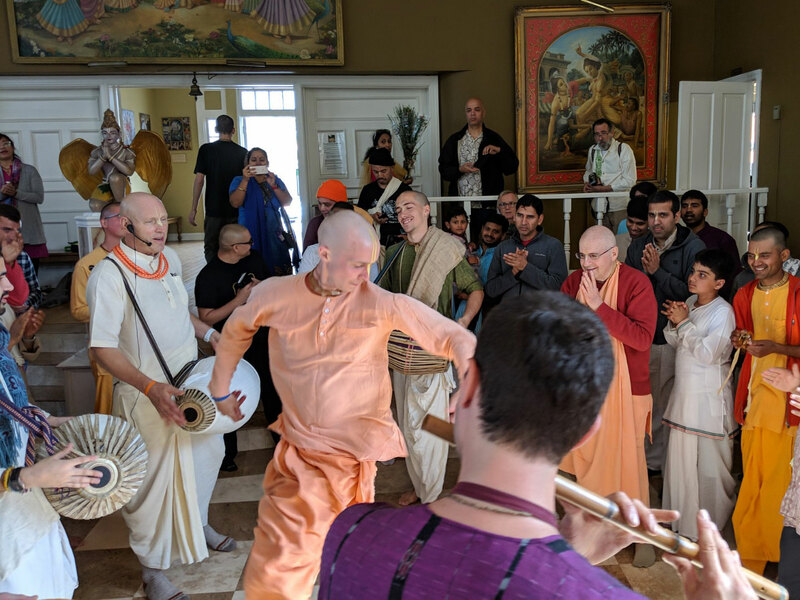 Anyway, the servant brought the sweets, and Jagannatha dasa Babaji offered them to his Deities and then distributed them to the cows and dogs in the dhama. He said the creatures of the dhama were elevated souls and worthy of service. Later, Babaji Maharaja would not accept prasada until he had shared his food with ten newborn puppies. He would wait until they came, and he would count them with his hands. (In his old age, Babaji Maharaja’s eyelids drooped over his eyes and prevented him from seeing.) Only after the puppies had begun to eat would he also partake. He would say, “They are puppies of the dhama. They are not ordinary living entities.” He had so much faith in and affection for the dhama. Srila Jagannatha dasa Babaji lived to a very old age. In fact, some Vaishnavas say that he was just waiting for Srila Bhaktivinoda Thakura to come—someone to whom he could impart his special knowledge and realization, for the benefit of humanity. Srila Bhaktivinoda Thakura had requested to be transferred from his post in Orissa to Bengal so he could be near Navadvipa-dhama. And eventually, he was posted at Krishnanagar, near Navadvipa. There, he did extensive research to determine the actual birthplace of Sri Chaitanya Mahaprabhu. He studied various old maps, consulted the local people, and visited different places. Eventually he found a mound where many tulasi trees were growing. 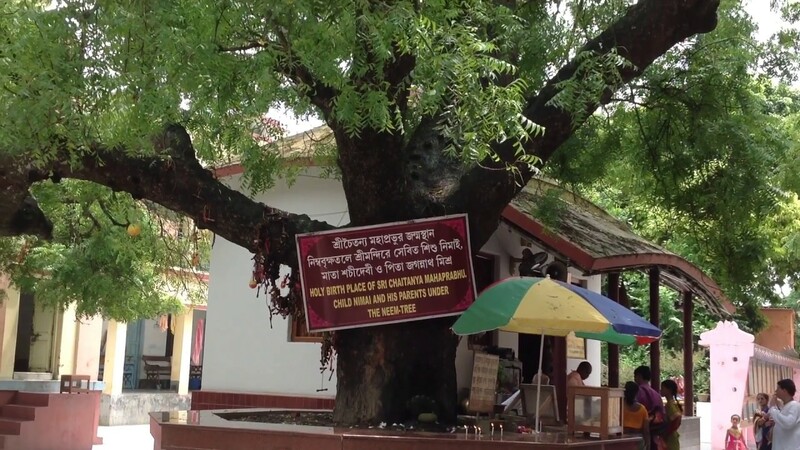 He had the intuition that this was the actual birthplace of Lord Chaitanya, but still he wanted confirmation. At the time, Jagannatha dasa Babaji was the most renowned Vaishnava, and he was Srila Bhaktivinoda Thakura’s siksa-guru. Thus, Jagannatha dasa Babaji’s disciples carried him to the place where Bhaktivinoda Thakura had found the mound and tulasi plants. Babaji Maharaja was so old (over a hundred and forty years old, some say) that his disciples had to carry him in a basket. And his eyelids were so heavy that he had to open them with his hands to be able to see. So, the disciples brought him, but they didn’t tell him that it was the site Bhaktivinoda Thakura had determined to be the birthplace. Still, when Babaji Maharaja arrived there, he spontaneously jumped out of his basket and began to dance in ecstasy, singing the holy names. 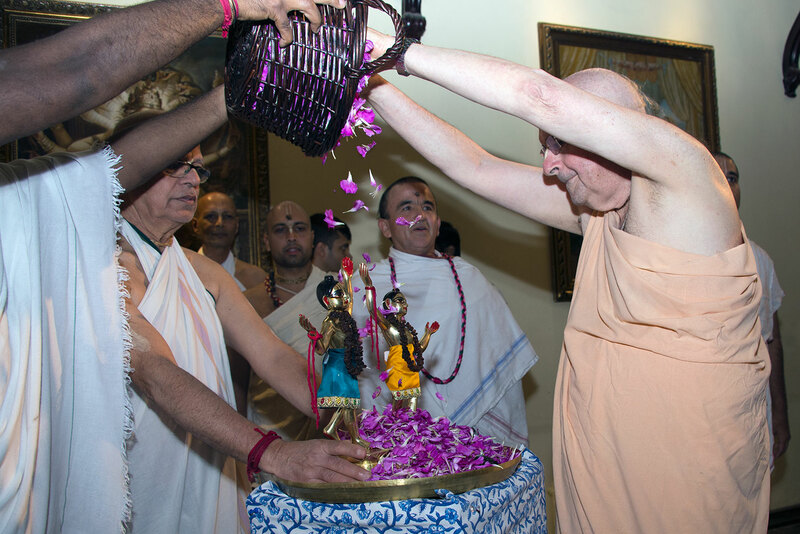 And by doing so, he confirmed the location of Mahaprabhu’s birthplace. Srila Jagannatha dasa Babaji’s bhajana-kutira and samadhi are there in Navadvipa-dhama, in Koladvipa. Devotees who perform Navadvipa-parikrama visit there and get his mercy. 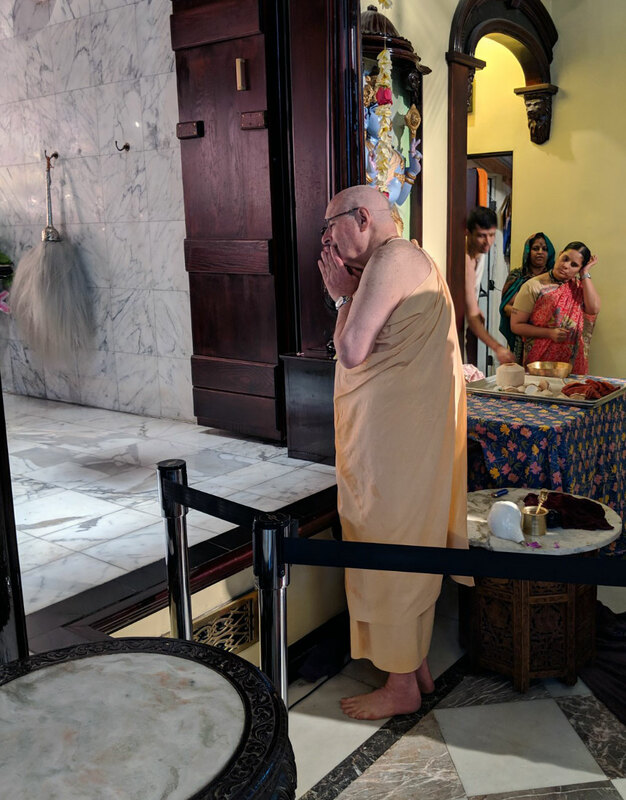 We also pray to him for his mercy, that we may be instrumental in fulfilling the desires of Srila Bhaktivinoda Thakura, Srila Gaurakisora dasa Babaji Maharaja, Srila Bhaktisiddhanta Sarasvati Thakura, and the other acharyas in the line of Sri Chaitanya Mahaprabhu coming to us through Srila Prabhupada and his disciples. 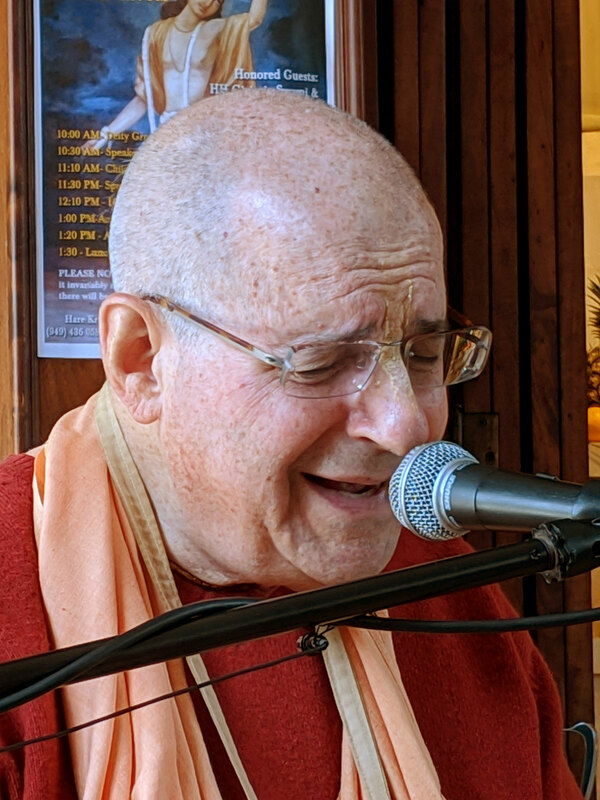 Today especially, we think of His Holiness Tamal Krishna Goswami Maharaja, who left this world on Jagannatha Dasa Babaji’s disappearance day, also in Gauda-mandala-bhumi.